A TRIBUTE: I have been asked many times if I’m a veteran. People ask because I often write about our brave men and women who have served in the military. But, the answer is, no. I'm not a veteran, however, I hold the highest regard for those who are currently serving or have served. Our service men and women are committed to protect us, protect our country and our democracy even if it means giving their life. These Americans protect us 24 hours a day. We owe them all a debt of gratitude; and we must support them at all cost. A SALUTE: Officers and members of the Manuel Perez Jr. American Legion Post 1014, Mexican American Veteran Association [MAVA] and American Veterans [AMVETS] will pay homage to the soldiers who have died in battle. 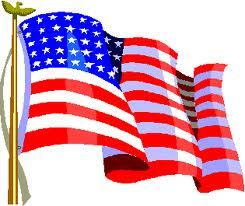 The celebration will take place on Memorial Day Monday, May 26, 2014. 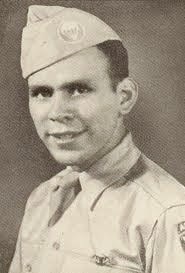 Private first class, Manuel Perez Jr., received the Medal of Honor for his bravery in WWII. THE CEREMONY on Memorial Day will start promptly at 10:30 a.m. at the Manuel Perez Jr. Memorial Plaza, 26th St.. Kolin Ave. in Little Village. Homage will be given to those men and women who died to defend our freedom. There will be brief remarks given by each commander of their respective organization. The public is cordially invited, especially veterans and their families. After the ceremony, guests will be served 300 tamales, coffee and cake. I will mount 15 American flags at the entrance of the plaza. FACES OF HONOR: On Tuesday, March 18, 2014, President Barack Obama awarded the Medal of Honor to 24 veterans who were passed over due to discrimination. The Medal of Honor is the highest award for valor in combat given to a soldier. In reviewing military records in 2013, it was discovered that 17 Hispanic soldiers should have received the Medal of Honor. PRESIDENT Barack Obama honored those 17 Hispanic Army veterans with the Medal of Honor. For service in World War II: Pvt. Pedro Cano, Pvt. Joe Gandara, Staff Sgt. Salvador Lara, Master Sgt. Manuel Mendoza. For service in Korean War: Sgt. Victor Espinoza, Sgt. 1st Class Eduardo Gomez, Master Sgt. Juan Negron, Master Sgt. Mike Pena, Pfc. Demensio Rivera, Pvt. Miguel Vera. For service in Vietnam War: Spc. Leonard Alvarado, Staff Sgt. Felix Conde-Falcon, Sgt. Ardie Copas, Sgt. Jesus Duran, Sgt. Santiago Erevia, Sgt. Candelario Garcia and Master Sgt. Jose Rodela. President Obama said the medal is the highest military award, given to American soldier who displayed “gallantry above and beyond the call of duty” for their combat actions in Vietnam, Korea and World War II. Most of the recipients are Mexican-American and deceased. All are American heroes. PASSED OVER: Guy Gabaldon [1926-2006], a Mexican-American was a former United States Marine who, at age 18, captured roughly 1,500 Japanese soldiers and civilians during the battles for Saipan and Tinian islands in 1944 during World War II. Gabaldon was not ungraded. GABALDON captured 1,500 Japanese soldiers single-handed. By his heroism, Guy saved the lives of hundreds of American soldiers. He is the only American soldier who ever captured so many of the enemy. Sgt. Alvin C. York, one of the most decorated American soldiers in World War I, received the Congressional Medal of Honor for capturing, with the help of seven other American soldiers, 132 of the enemy. PRESIDENT OBAMA should have upgraded GUY GABALDON for a Medal of Honor. Guy is a real American Hero. 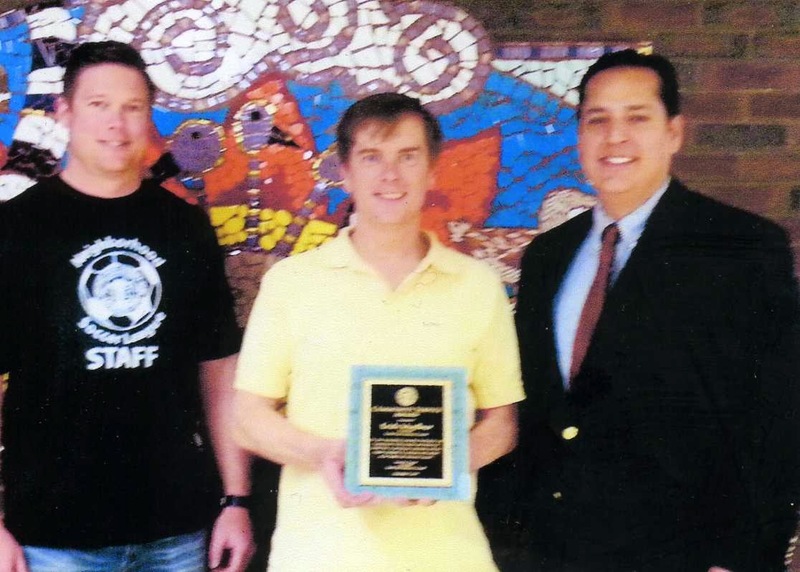 SMITH PARK: David R. Ramos, incoming President of the Smith Park Advisory Council, 2526 West Grand Ave. presented a plaque to outgoing president Erich Muellner. Outgoing President Muellner was honored on May 6, 2014 at the Smith Park Field House. Muellner is a long-time resident of the West Town/Ukrainian Village. He served from January 2012 to December 2013. MUELLNER decided not to seek re-election due to his family moving to the North side of Chicago. “My heart is still with Smith Park, this is where my young children learned to take their first steps and learned how to ride a bicycle,” said Muellner. RAMOS is a Chicago Police Officer for 20 years, and was the former Department of Homeland Security Chief for Chicago-Cook County. He served as the past President of the Chicago Grand Neighbors Association and brings a wealth of knowledge to Smith Park. Congrats to all. JUNE/JUNIO 7, 2014—“Rummage Sale/Venta de Garaja” at Joseph E. Gary Elementary, 3740 W. 31st St. from 8 a.m. until 1 p.m. Cost space: $10. Admission is free. For questions/preguntas: Call the school/ Llame la escuela 773/534-1455.